Nonprofit boards have struggled for years to develop effective board fundraising committees. According to the BoardSource 2012 Governance Index, 46% of nonprofit CEOs gave their boards “D” or “F” grades for their fundraising efforts. Simone Joyaux in a current NPQ Newswire* raises some pertinent questions related to the “struggle to get the board to carry out its fund development role.” I have listed her questions below in italics. My overall response to her questions is that fundraising committees are not always necessary for effective fund raising! Where the committee is doing a poor job (graded average or below), it is best to cultivate and support a few board members to drive fundraising. Why do you want board members involved? How does shared understanding and ownership add value? For many board members, board sponsored fund development involves discomforting, inconvenient and time consuming tasks. Consequently, they may not really understand the value it adds (At a minimum, board policy needs to be clear about the task, even if some directors only need to be alert to providing potential leads to funding.) Those “drafted” for committee service often only ”tread water” by suggesting farfetched ideas that preclude action. I once encountered a fundraising committee, which met monthly to try to develop an endowment fund, although the small agency involved did not have any volunteers who might assist. As a result, when the monthly meetings become repetitious, one director volunteered to take action and seek current funding by himself. Results; the committee disbanded, and the individual alone was able to raise about one-third of the agency’s yearly budget for many years. Do you hope to make this work fun for your board members? No! Making projects “fun” is for children! However, I think there should be a strategic effort for the CEO and Board Chair to encourage boards members who view fundraising as a meaningful activity, to accept leadership. Fundraising skills needs a recruitment priority. Simone Joyaux suggests that even with directors. “…who understand their roles, they don’t want to do ‘that fundraising stuff‘”. For an organization that wants to develop a fundraising dinner, they need to recruit board members or volunteers who have experiences in planning events. Similarly, if a number of board members work for large businesses, provide them with the tools to make personal approaches to their donations office to determine if the firm’s donations priorities are in line with the nonprofit’s mission. This becomes a time-limited contribution which many directors can engage. My decades of experience with nonprofit fundraising show that one to three board individuals comfortable with fundraising can do much more than board standing committees, when the committee structure isn’t achieving a development potential. And the BoardSource percentages cited above certainly indicate substantial room for improvement. In the current century, volunteer directors focusing on the effort have significant problems devoting time to this continuing type of contribution. Consequently, it is best to try to recruit a few retired or semi-retired persons, who find development a meaningful activity, can proactively take action with board oversight and become role models for newer directors. As my development friends tell me, “People Give to People.” I think standing board fundraising committees, although a preferred development approach, can get in the way of action-oriented progress. Do you agree? • Simone Joyaux (2013) “Involving Your Board and Board Members in Fund Development,” NPQ Newswire, June 28th. Nonprofit boards, for several years, have been struggling to find proper uses for social media. Many of the decisions on this issue will become strategic board decisions because they will require using alternative promotional strategies, experimental trials and infusion of capital and human resources. The December 8, 2012 issue of the NACD Directorship* cites a Stanford study concluding that for-profit boards should develop a better understanding of this new phenomenon. Determine how social media fit within the nonprofit’s strategy and business model. 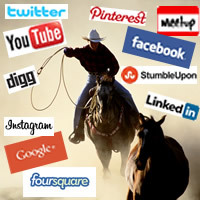 Understand that social media currently is considered by experts to be equivalent to an “untamed wild west.” Determine the traditional “how, where and why” for social media. I can tell from the “school of hard knocks” (SHK) that there is a substantial difference between placing a message on Google, Facebook or Bing. Similarly, there are SHK lessons to be learned from trials on Twitter, Spamming or Blogging. Often a young intern can assist the nonprofit in acquiring this knowledge and avoiding failure. But it is going to be difficult or impossible to locate volunteer board members who have both board and social media skills. Returns from social media efforts usually are not very rapid. My SHK experiences shows that it may take a year or more to develop a following that makes sense to the nonprofit’s mission. Learning curves can be vey long. 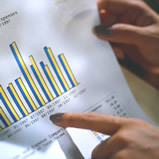 With many trials, the nonprofit will need to use imperfect metrics** as performance indicators. *** In the meantime, what are the risks of not utilizing more traditional venues to achieve performance goals? Develop formal board polices and guidelines for executives and directors. At this point in the social media development process, it is hard to anticipate all a nonprofit’s policies that will be needed in the next three to five years. But the board of directors must act soon on issues such as privacy; use of the nonprofit’s accounts, and controlling social media expenditures. The needs for additional polices and guidelines must be reviewed annually. *** Eugene Fram (forthcoming August 1, 2013) Applying Social Media to Marketing: Experiment Before Beginning,” Marketing News Exclusives, American Marketing Association. Responsibility for the lack of NFP strategic planning must reside with the chief executive, board members. Also lack of straeteic planning can occur if unresolved operational challenges are not referred to the board in a timely manner. have a fully engaged chief executive involved with the board in the leadership of the strategic planning process. After all, the chief executive will be responsible for executing the plan! have a proportion of board directors with some specific types of strategic oriented experiences. How successful has the NFP organization been in recruiting some of the following types of directors? Those with enough time to become thoroughly acquainted with field related to the mission, visions of the organization’s operations. After all, many NFP directors serve on boards whose fields of focus are quite different from those in which they have working experience. Few, for example, probably have backgrounds in nonprofit human services. Those who can distinguish between a strategic plan and a tactical plan? Those capable of critical thinking, questioning past assumptions as they relate to the future assumptions. Those who have had successful strategic planning experiences at a high (not tactical) levels on other FP or NFP boards. Many middle level business mangers will lack strategic experiences. Those who have innate visionary abilities to assess future opportunities or roadblocks. Probably only a small proportion o any NFP board. Those who have failed with past unsuccessful strategic plans but learned from their mistakes. Those who can realistically project the financial challenges a strategic plan will develop.